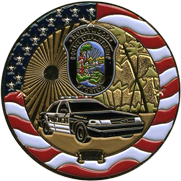 Police challenge coins are a timeless tradition and one that Noble Medals continues to carry on with high-quality products and services. Challenge coins are customized to include anything from a special graphic or design to inscribed quotes or phrases. Noble Medals works closely with each customer to develop custom personalized police coins at an affordable rate. Anything that you can envision, we can make into a reality. Many merchants sell custom police coins, but not all of them know the importance of these sentimental keepsakes. These can be a great way to honor a law enforcement official that has devoted a large portion of his or her life to selflessly serve in the community. A law enforcement officer can display his or her coin and recall the many memories acquired while on the job. Some police officers use challenge coins as a way of showing solidarity to their fellow officers. Many challenge coins are also used to remind officers of the high standards that they must hold themselves to. Our custom personalized police coins can feature the inscription of a phrase or other specific wording. Many officers plan to pass their coins down from generation to generation, reminding others in their family line the tradition of serving the community. As you can see, one little coin can do many different things for law enforcement officers. This is why challenge coins are considered personal, intimate gifts that will mean a lot to the recipient. We encourage you to browse our selection of options for police challenge coins and see all the different features you can customize and personalize. Our team is standing by if you have any questions or concerns.